I do love award season — the Golden Globes, the Oscars, all of it. Straight people have their ‘playoffs’ and what not, we have the red carpet and honoring the best of Hollywood. It’s sort of our thing, really. 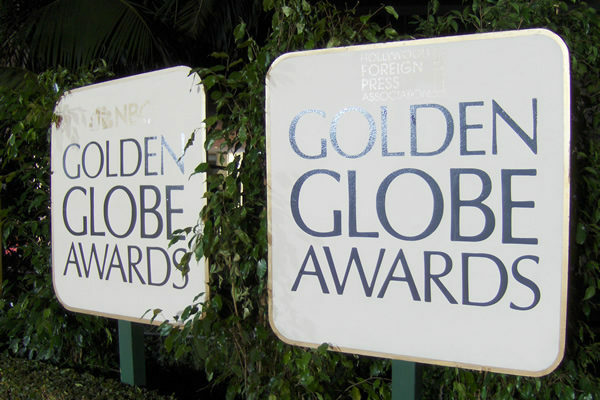 And out of all of the award season shows, the Globes has always been a favorite of mine. Why? Well, the whole thing is a little less stuffy than the Oscars and, as the night goes on, everyone gets a little smashed on camera. It’s hilarious to watch. Just Google “Elizabeth Taylor Gladiator” and you’ll see what I mean. It was perhaps her finest hour. Something struck me as a bit odd, or at least interesting, while watching this year’s Globes. First, it was pretty gay. And secondly, that was hardly news. Yes, as I’ve mentioned the Globes and the like are fairly gay affairs to begin with, but this time the make up of artist, subject matter, and general films and programs being honored in one single year was the gayest I can ever remember. Think about it for second. From both the big and small screen you had “Pose,” “Bohemian Rhapsody,” “Can You Ever Forgive Me?,” “Boy Erased,” “A Very English Scandal,” “Green Book” and “Assassination of Gianni Versace.” That’s a lot. Anyone of my generation and before can tell you that for years we were absolutely starved to see representations of ourselves in entertainment. For so long we had little to go to. And it’s been fairly sparse even recently. I will still argue that we have not had a mainstream successful gay film since “The Birdcage.” And that movie came out, so to speak, in 1996. Yes, I know what you are going to say — what about “Brokeback Mountain?” Well, again even that was 12 years ago, and even Hollywood was willing to only go so far with it. It lost to the calamity that was “Crash” at the 2006 Academy Awards in what still remains a sore spot for the gay community. Of those being honored this year, “Bohemian Rhapsody” was a favorite. And while some criticized the film for straight-washing Freddie Mercury’s queerness, I found a lot of that to be unfounded. Frankly, I thought his queerness, and more importantly his own struggles with it, were fairly front and center. But check out too “Can You Ever Forgive Me?” Melissa McCarthy continues to amaze me. Yes, she’s sort of been pigeonholed into outlandish slapstick. But I’ve always found her to be a pretty meaningful actor. She’s fantastic as lesbian-writer-turned-fraud Lee Israel. That, and the film gives a great glimpse into 1990s gay New York. And, for television, “Assassination of Gianni Versace” was some of the best I’ve seen in years. Gripping, eerie and for those of us who remember the Cunanan manhunt as it was actually happening, it was downright scary to watch. But of all those mentioned here, the best in gay goes to Ben Whishaw, winning for his excellent portrayal of Norman Scott, a former model/former blackmailer, in “A Very English Scandal.” Honestly, if you haven’t seen it, it’s worth getting Amazon Prime for. A three-part BBC miniseries both so deliciously absurd and remarkable, even more so when you learn it’s all a true story. But, of course I have to point out, of all the shows and actors honored, Whishaw was the only openly gay person playing an openly gay person. Sure, some of that’s still Hollywood’s problem to deal with. Essentially can out stars make it in the studio system? For years the answer, we were told, was no. But, it seems that cracks are starting to appear. If queer subject matter is now fodder for mainstream consumption, can we have queer actors front and center in those depictions? That appears to be our next hurdle to clear.